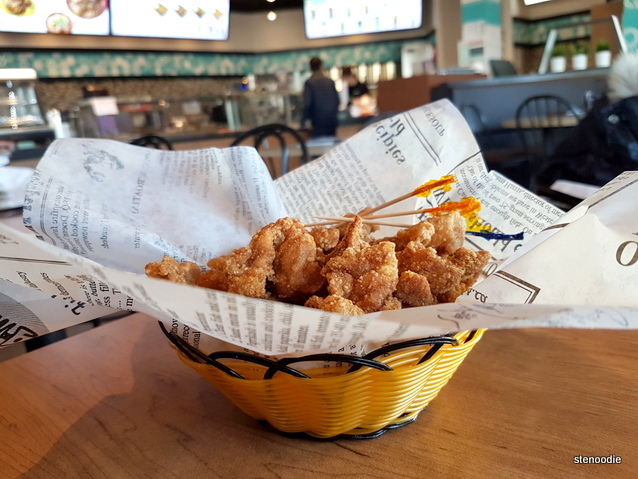 A few days ago, after a non-stop couple of days of transcript work and days in court, I was craving for some popcorn chicken and decided to pop into the new location of ZenQ in Markham to satisfy my taste buds. 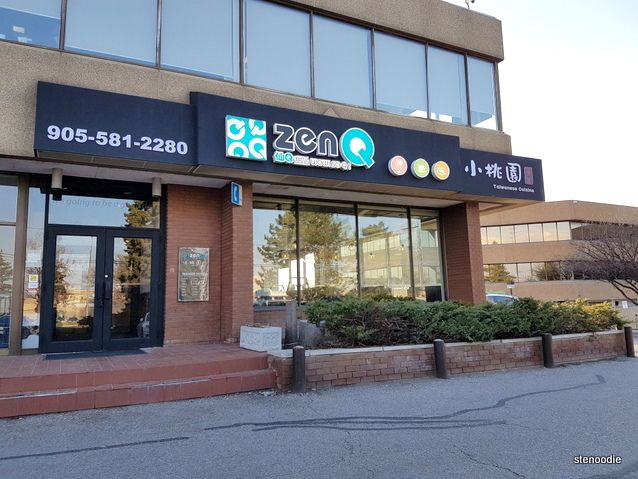 This new location of ZenQ is located on Woodbine Avenue north of Steeles. It’s located in the same establishment as the Shopsy’s restaurant. There weren’t too many people here when we arrived around 6:30 p.m on a weekday. The shop was extremely spacious with tons of tables and booths for you to dine in. I saw this as the perfect place to hang out with friends over bubble tea and food. The decor was very nice and modern and perhaps could be a nice “zen” study spot too (see what I just did there? :p ). 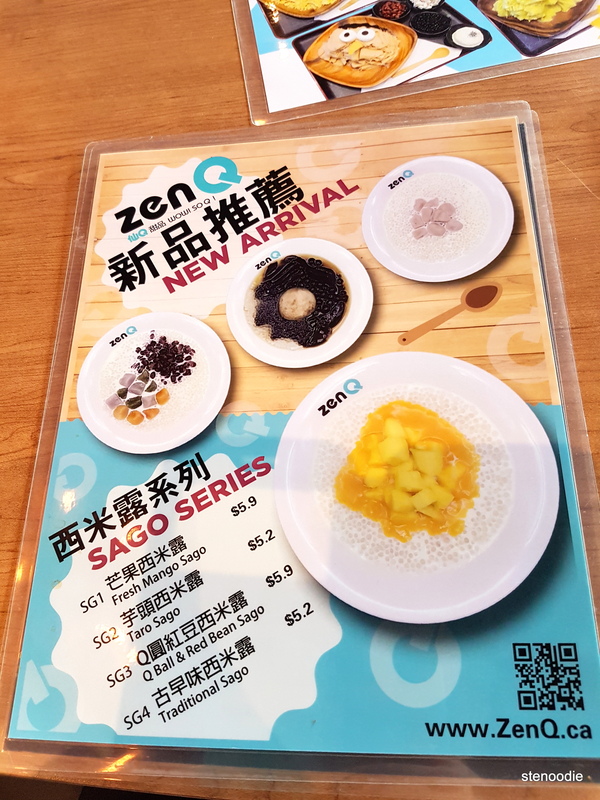 ZenQ specializes in bubble tea and Taiwanese desserts. I first went to their Markham location at Langham Square two years ago (blogged here). 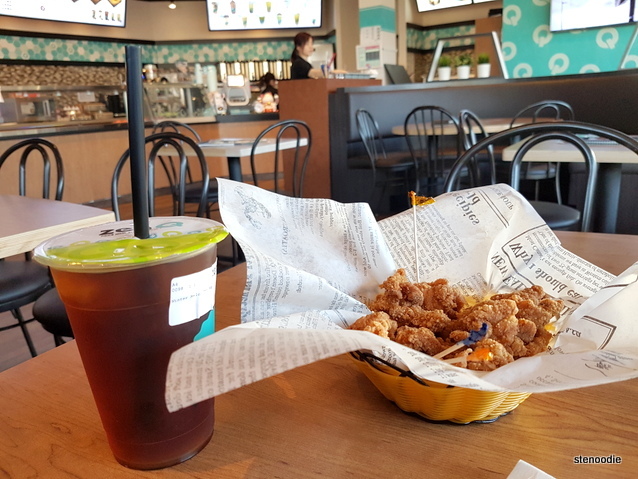 I remember really liking their popcorn chicken as the portion of the order was large and the fried chicken bites were up to my standards — big, crunchy, and seasoned relatively well. 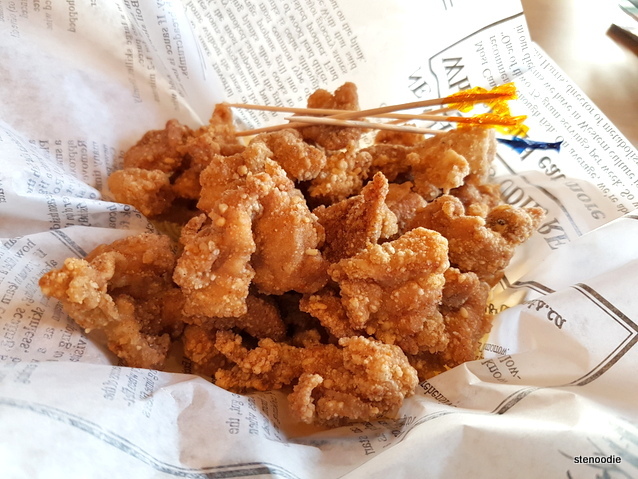 Unfortunately, I found that I was disappointed with the order of Salty Crispy Chicken (Popcorn Chicken) that I ordered here at this Woodbine location. They also used a piece of wax paper here in which to serve the chicken on top of a basket. The portion was very small. I was first disappointed with the size and then disappointed with the quality. 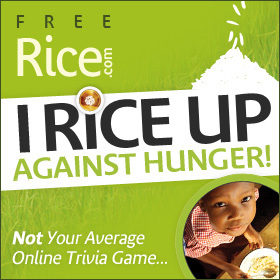 I found that the pieces were very small and bland. You can see in the photo that they used the wax paper to hold the chicken atop a basket. If they took away the basket, you’d see the basket would barely be full… A marketing tool to serve a smaller portion perhaps. My mom also ordered from the Special Combo which was available from 12 to 8 p.m. It included a choice of a Taiwanese rice or noodles dish with a drink. It was a good deal. We got the Minced Dry Noodles with a Winter Melon Tea. 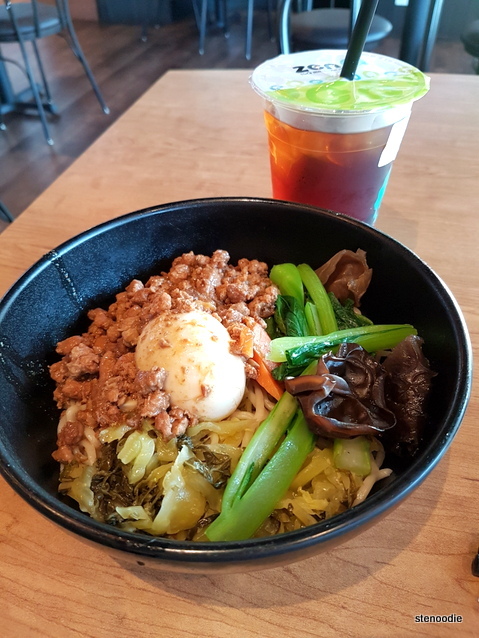 Minced Dry Noodles is a Taiwanese dish that includes minced meat, preserved vegetables, tea-infused egg, with some dry noodles. I thought that the noodles were pretty good in texture but overall seemed like an average dish with nothing too special to write home about. 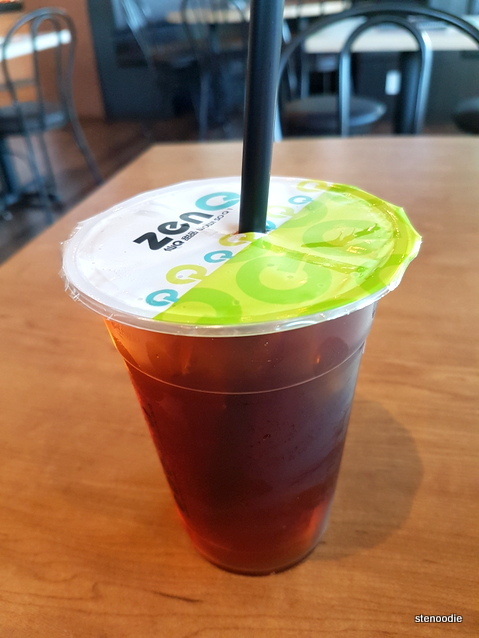 The Winter Melon Tea was pretty average where it wasn’t bad and definitely wasn’t too sweet. 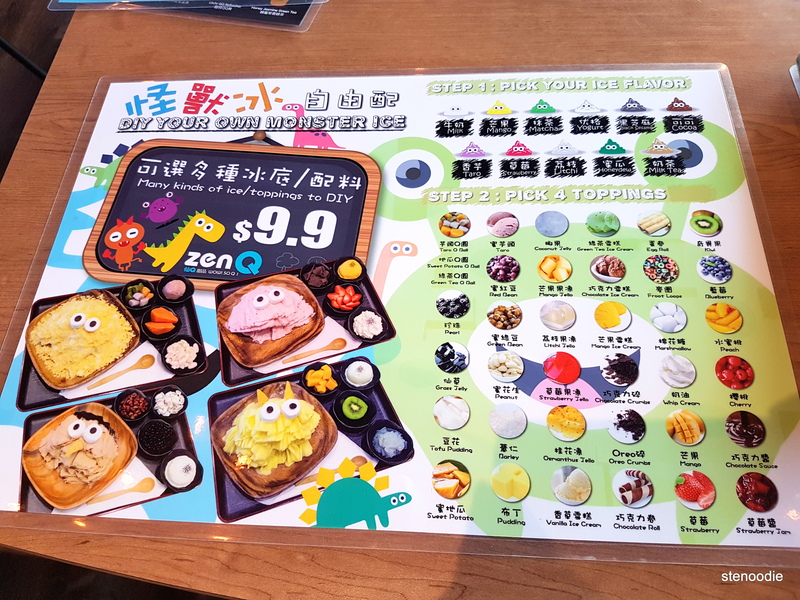 Overall, I think ZenQ is a place best for bubble tea and desserts and maybe not so much for their cooked items. 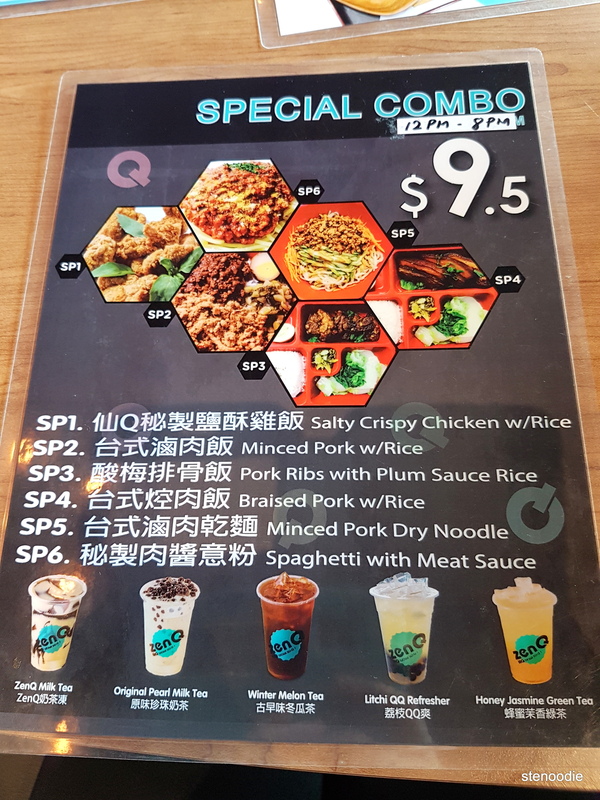 Special combo menu from 12 to 8 p.m. 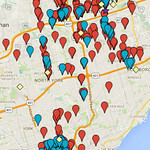 There will be a fourth location opening up in Richmond Hill soon. Fourth location of ZenQ opening up very soon! 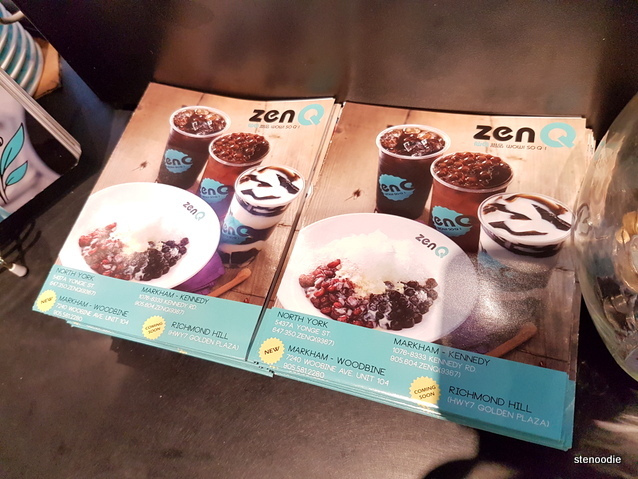 This entry was posted in Food and tagged 7240 Woodbine Ave, @ZenQCanada twitter, food blog, foodie, Markham, Minced Dry Noodles, Popcorn Chicken, restaurant review, Salty Crispy Chicken, Taiwanese, Winter Melon Tea, Zen Q, Zen Q Markham, Zen Q Woodbine, ZenQ, ZenQ DIY mountain ice menu, ZenQ Markham, ZenQ Special combo menu from 12 to 8 p.m., ZenQ Woodbine, ZenQ Woodbine seating. Bookmark the permalink.